If you like joyful contemporary worship in a casual coffeehouse atmosphere, come check out St. Paul’s Worship Café. Led by one of our pastors and our Contemporary Worship Leader, this service—held in the Wesley Center on the lower level—rocks with a praise band with guitar, keyboard, drums, and singers. Come as you are and grab coffee and a snack on your way in. 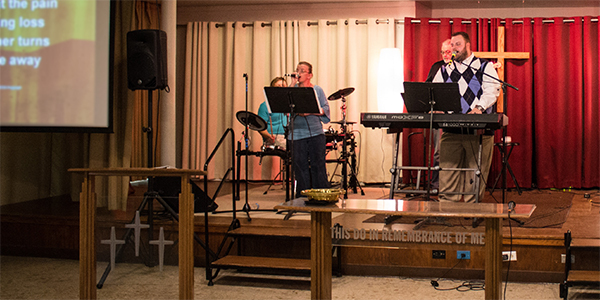 The service can be followed using the projection screen for songs, scripture, and more. Special events or meals sometimes take place immediately after the 11:30 am Worship Café.